Canteen 1 is a 2013 Freightliner/Custom Mobile Food Equipment rehab vehicle. This unit is a near identical design to Providence Canteen‘s Canteen 1 (with some minor changes). 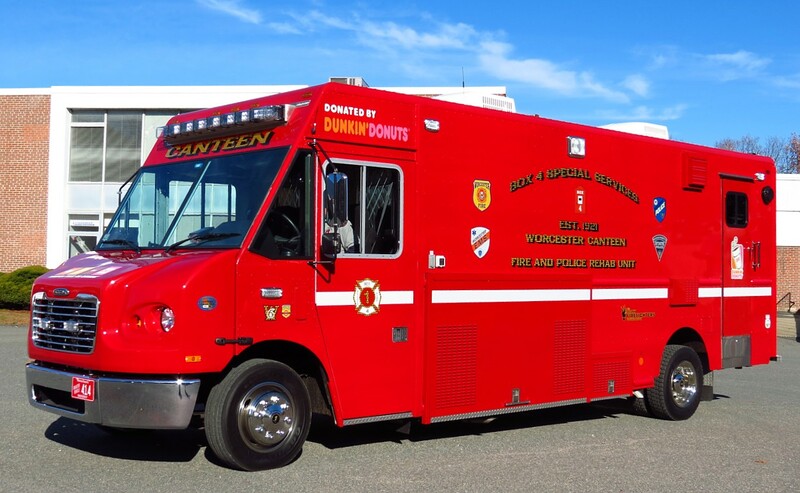 Canteen 1 is our primary response vehicle and is the pride and joy of our organization. This unit was donated to us by Dunkin’ Donuts at the cost of $251,000.